"With proper study and proper preparations one can visit this holy site without trespassing on the sacred areas," says Rav Chaim Richman. "The recent proclamation of the Chief Rabbinate prohibiting Jews from ascending to the Temple Mount implies that ascent to the Mount is indeed forbidden by Torah law. However, this statement is inaccurate and misleading. According to the sources of halakhah, the place of the Holy of Holies and sanctified courtyards are well known and documented, and with proper study and proper preparations (such as immersion in a mikveh and the donning of non-leather shoes) one can visit this holy site without trespassing on the sacred areas. "Throughout the ages many prominent halakhic authorities personally ascended to the Temple Mount, including the celebrated Rambam (Maimonides), who ascended to the Mount at the risk of his life in Crusader-dominated Jerusalem. Indeed, as the Rambam himself testifies in his letters, he was so moved that he merited to ascend the Temple Mount to pray there, that he instructed his descendants to mark the day of his aliya (6 Cheshvan 1166) as a day of personal yom tov (rejoicing) for all generations. "Issues of Jewish law are not to be determined by personal feelings, opinions, or emotions. In the formulative process of halakhah, sources must be cited, verified and compared. Today, many prominent, respected Torah scholars, including yeshiva heads, visit the Temple Mount on a monthly basis together with hundreds of their students. To minimize or denigrate these scholars and to imply that they are acting outside of Torah law is misleading, damaging and wrong." Rabbi Richman is co-host of the popular weekly "Temple Talk" internet radio program on Israel National Radio. There are various factors behind the proclamation forbidding ascent to the holiest site of the Jewish people. One is the conflicting, documented opinions as to the exact locations of the sanctified areas, including that of the R"osh, leading medieval rabbinic commentator and authority who differed with Maimonides. Another is the inability to see to it that those ascending - even if they follow a specific opinion on locations and especially if they are not observant and simply want to tour a heritage site - follow the halakhic admonitions about preparations and behavior. Those rabbis who visit the Mount with their students see it as an emergency situation, as well as a holy experience. They are afraid that artifacts that prove Jewish history on the Mount will be destroyed irretrievably by the Islamic Wakf that controls the site and that Israel will lose its sovereignty over the Mount, since it has no presence there and the Muslims are now denying that the Holy Temples ever existed. 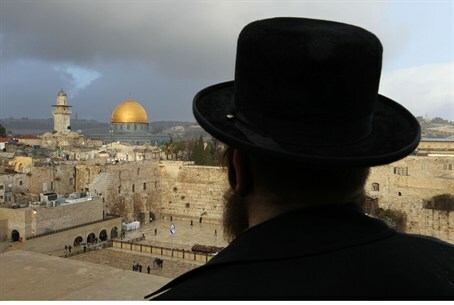 All the rabbis involved, no matter what their opinion on the issue, yearn for the coming of the Messiah and the rebuilding of the Holy Temple on the Temple Mount. At that point in time, they said, all the controversies and questions will be resolved.